With the holiday dedicated to the Assumption of Mary fast approaching on August 15, Lyon prepares for its annual procession. In honor of the Assumption of Mary on August 15, the Catholic community of Lyon will host a procession at the Basilica of Fourvière on August 14 at 8:30 p.m. 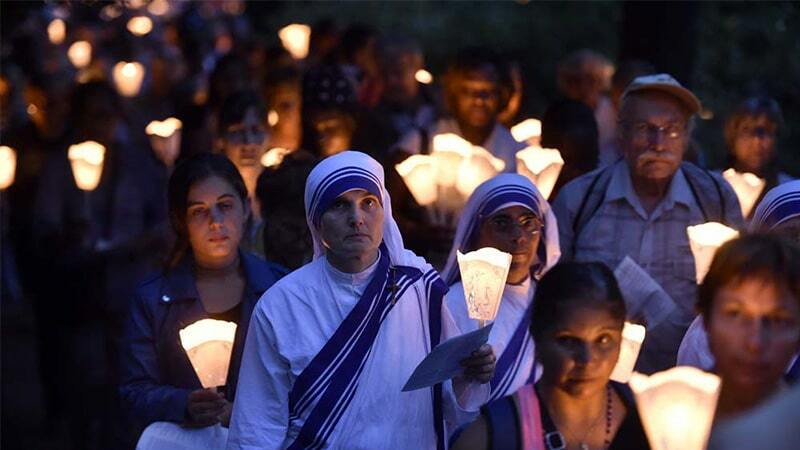 The evening torch procession is an annual tradition, honoring the rise of the Virgin Mary into heaven the next day. Processions in her honor have been organized across the world since the 12th century. In Lyon, the Fête de l’Assomption spans the two days at the Basilica, with a mass at 5:30 p.m. before the procession on August 14 and masses organized throughout the next day. A full schedule can be found here.